210gsm, 65% polyester, 35% cotton pique knit fabric. Three button placket. Rib knit collar and cuffs. 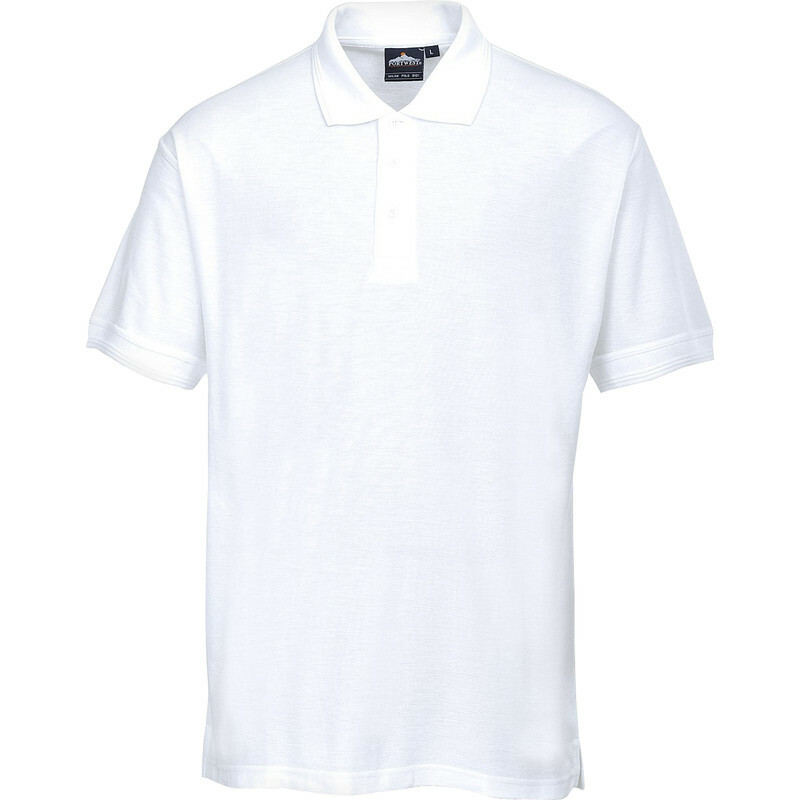 Polo Shirt Medium White is rated 4.6 out of 5 by 47. Rated 2 out of 5 by Steve1212 from Average quality Bought the black and blue shirts previously and the material was far better quality and kept its shape when washed . These just feel of an inferior quality and have already stretched out of shape. Will not buy again. Rated 5 out of 5 by Butt_head from Great to wear product I bought five, hard wearing, good fit, really happy with the polo shirts. Rated 5 out of 5 by Moondoggy from Nice and long Great quality and value. The thing we really liked is they are nice and long. Rated 5 out of 5 by Anonymous from Great value, great quality These polo shirts are really comfortable and just for a change long which means they don't ride up when working.